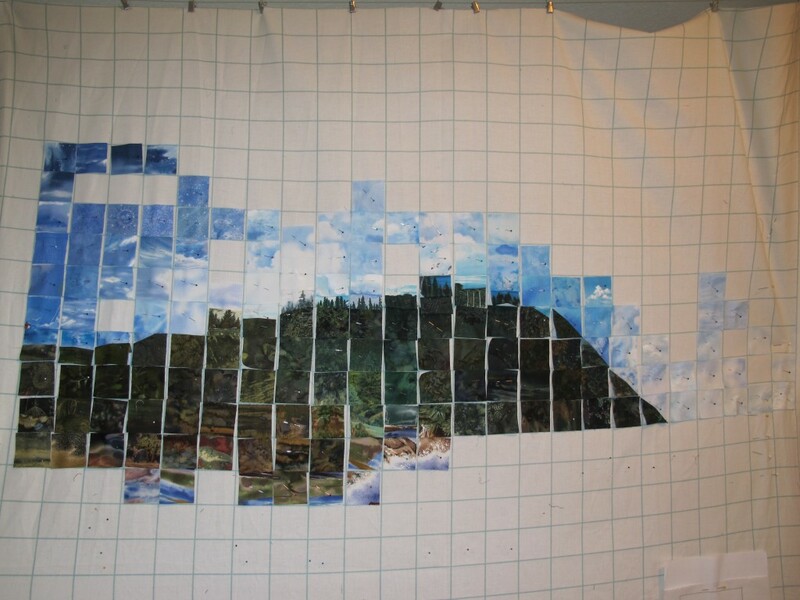 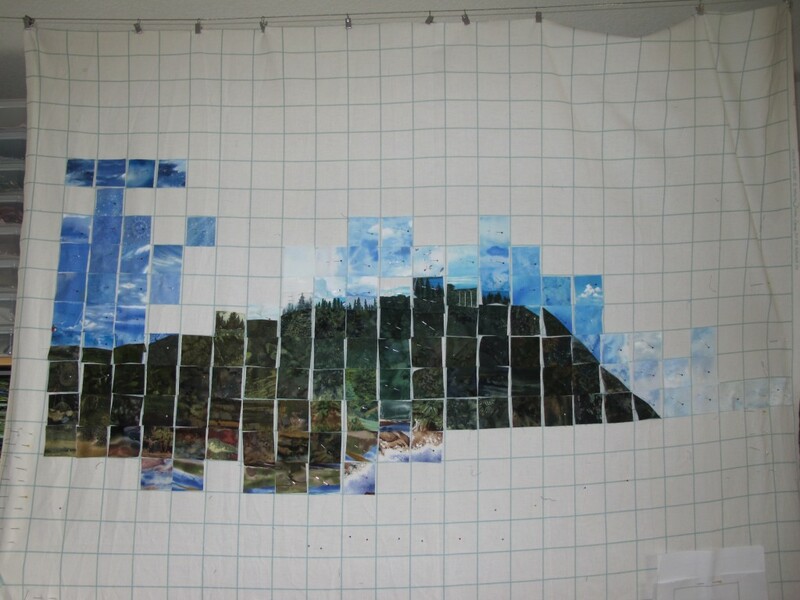 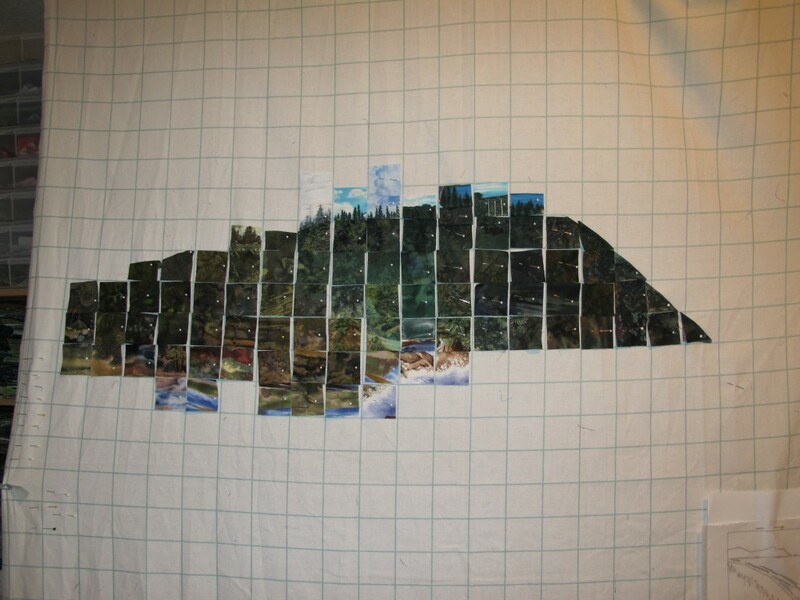 I use a large flannel grid for my design wall and have an enormous collection of pre-cut 2 inch squares of fabric which are sorted by color and value.I started laying out this quilt from the top down. 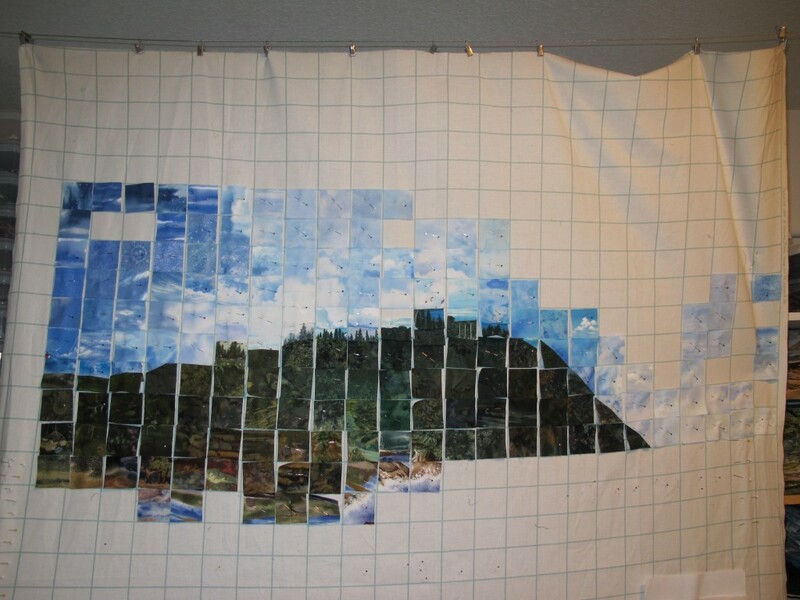 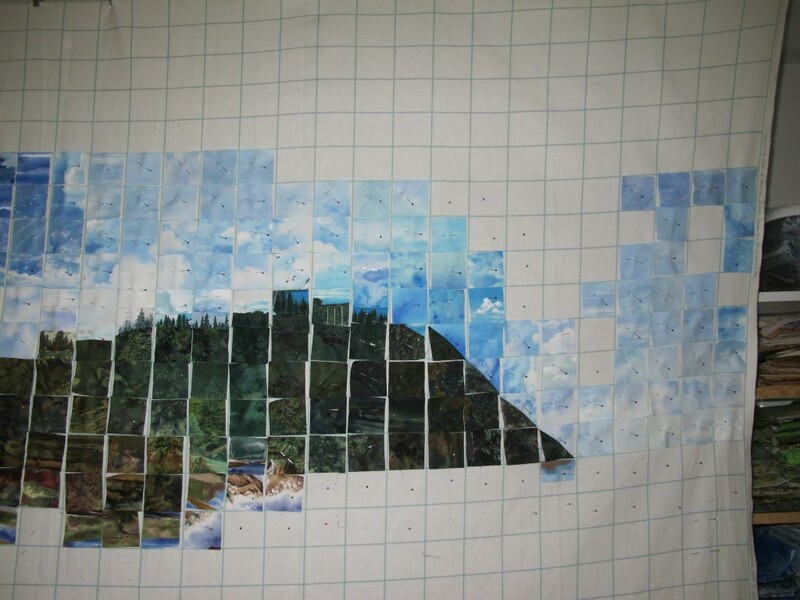 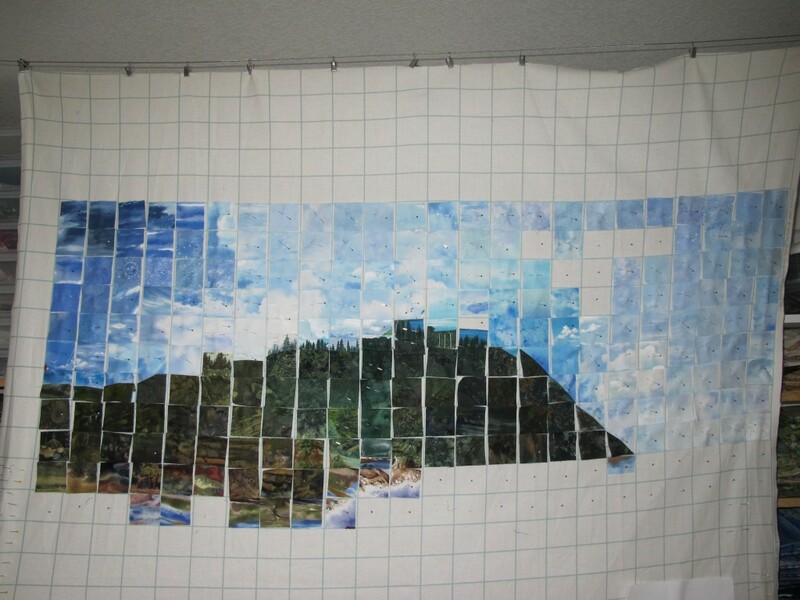 I took a series of photos as I laid out the squares to form Tillamook head and the sky. 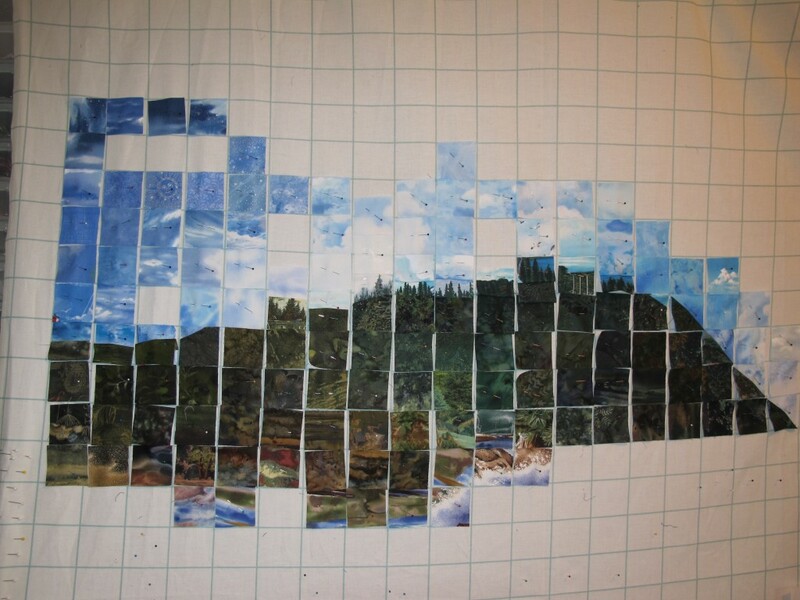 You can see the gradually shaping of the headland, especially as the sky is added to contrast against the landmass.